Guido started his professional career at BVV Den Bosch, making his first team debut in 1984. 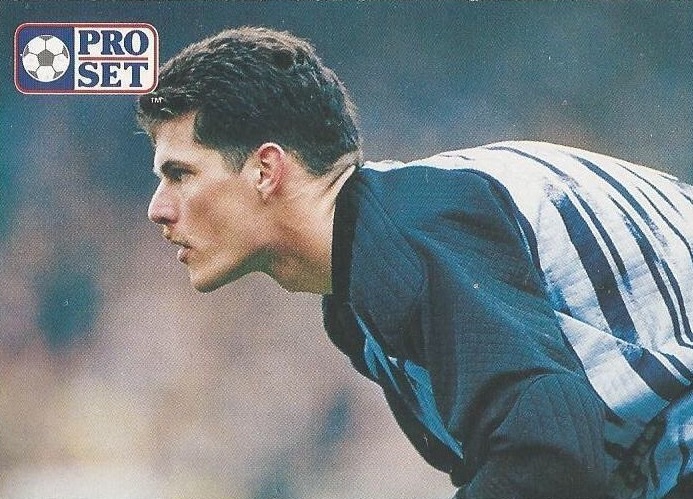 Used as reserve keeper over the next six years, he was loaned out to NEC Nijmegen in 1991. He signed for United that summer, with manager Jim McLean bringing him in to replace the outgoing Billy Thomson, and made his first appearance in Maurice Malpas's testimonial match against Rangers a few weeks later. After making his competitive debut in the second league match of the season against St Mirren at Tannadice, he spent most of the 1991-92 season as first choice keeper, fighting off Alan Main for the No.1 jersey. However, in February 1992 he fell out of favour and was transfer listed, spending almost all of the 1992-93 seasons in the reserves. An injury to Alan Main in November 1993 saw him return to first team action, and the Dutch keeper then kept the No. 1 jersey for the rest of that season, playing in every Scottish Cup match as United reached the final. After the final against Rangers at Hampden Park, he collected a winner's medal as United won the trophy for the first time in the Club's history. That monumental match turned out to be his last for the Club, as a contractual dispute froze him out of football. A proposed move to St Johnstone in December 1994 fell through, but he finally secured a permanent move to Dunfermline Athletic for an undisclosed fee in January 1995. 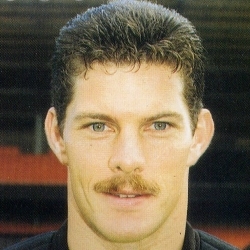 Guido helped the Pars to a First Division title in 1995-96 and in July 1997 he moved to Raith Rovers. His final move took him to Alloa Athletic in 2001 after which he finished his senior career. Guido was born on this date in Den Bosch, Netherlands. Sensational starts are becoming rather regular occurences here this season, but the way in which this match got underway will be hard to match. Within a couple of minutes of the referee's first whistle Saints were reduced to ten men and we had been awarded a penalty. McWhirter handled a netbound Michael O'Neill shot on the line and under new FIFA regulations had to be redcarded. Michael O'Neill's first attempt from the spot was blocked by Money, but Michael followed up to net the rebound. The United fans were still cheering when Billy McKinlay rammed a second into the far corner from just inside the box. The drama continued in the 12th minute when Duncan Ferguson was tripped in the box and Darren Jackson took over the role of penalty taker from Michael O'Neill to sink the spot kick at the first time of asking. 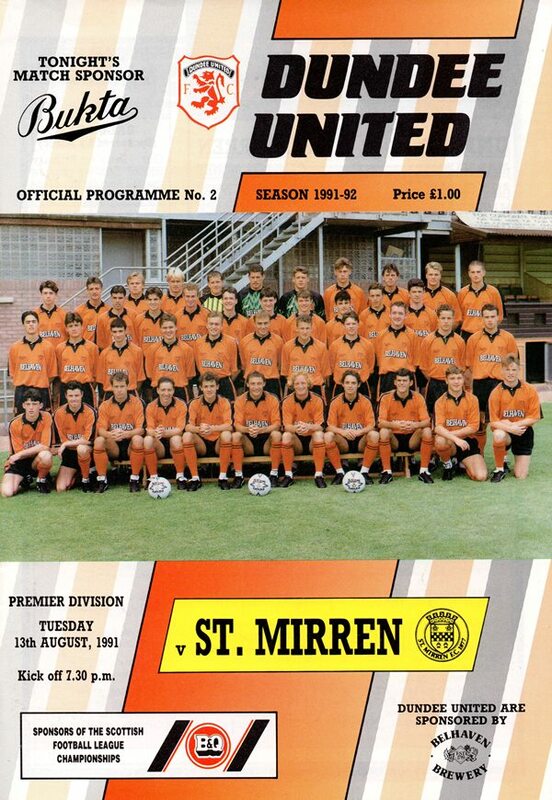 Ten man Saints produced the odd anxious moment, most notably when Allan Preston cleared a header off the line. Meanwhile Saints survived another couple of narrow shaves and most have been happy to hear the half-time whistle. The Tannadice men finally dumped their Scottish Cup Final Hoodoo and also wrecked Rangers back to back treble hopes. The fact that the trophy was won by a goal as bizarre as anything ever seen at the national stadium will not diminish the delight on Tayside.